This is a country whose government seems unwilling or incapable of conducting desperately needed reforms, and whose economy is flat; where living conditions for the majority have deteriorated since they overthrew their erstwhile dictator, Ben Ali, five years ago. Two of the three engines of growth, tourism and the phosphate/fertilizer industry, have stalled and unemployment among the young in Kasserine, one of the towns which revolted in 2011 has increased to nearly 25% among young men and 38% among young women. This is a country where neither major party, the Islamist Ennahda party that governed from 2012 to 2014 and the lay coalition Nidaa Tounes currently in power, dares to take bold economic decisions. Foreign debt meanwhile is piling up at an alarming rate. The informal sector has engulfed the economy and represents more than 50% of GDP thus depriving the government of much needed tax revenue and the formal economy of much needed demand. Doctors, lawyers, service industries such as private clinics avoid taxation, thus buttressing the privileges of an upper middle class which looks down on poorer Tunisians with a mixture of disdain and fear. As rioting spread through Tunisia last week, the security forces were unable stop the violent gangs which vandalised banks and supermarkets. This gives those who were demonstrating against government policies a bad name. The spread of mafia-style activities is a growing threat in Tunisia and attempts by senior officials to confuse genuine protests and criminal activity is disingenuous. The history of modern Tunisia suggests that the month of January can be dangerous. On the 18th of that month in 1952, the nationalist leader Habib Bourguiba was arrested by the French colonial authorities. In 1978 the first general strike left many dead in the streets of Tunis. Two years later a Libyan-backed group of Tunisian dissidents took control, for a few days of the southern town of Gafsa. In 1984, the whole country rose in revolt against the doubling of the price of bread, a measure quickly rescinded by President Habib Bourguiba. Five years ago, four weeks of rioting forced Ben Ali to flee to Saudi Arabia and ushered in a wave of revolts across the Arab lands. The 89-year old president seems to be more at ease hobnobbing with the likes of Barack Obama, François Hollande and the King of Sweden than with the young people of Kasserine. Beji Caid Essebsi has not endeared himself to many members of Nidaa Tounes, the lay coalition he founded three years ago, by openly backing the claims of his unworthy son, Hafedh ­– whose sole claim to fame is that he managed a liquor store – to take over the party. Twenty-eight deputies have left the party to found a new one, thus handing over the role of lead party in parliament to Nahda, whose philosophy and policies are at pole opposites. This attempt at dynastic succession has ensured that the president’s claim to restore the dignity of his office, after he defeated the populist Moncef Marzouki at the polls 15 months ago, are now consigned to the dustbin of history. Essebsi was never close to the founder of modern Tunisia, Habib Bourguiba, but to his second wife, Wassila, a wily politician who was not a statesman in the mould of her husband. As minister of the interior and foreign affairs, he followed Bourguiba’s instructions faithfully but never held a portfolio which focused on the economic or social development of his country. Unlike other Arab leaders, Habib Bourguiba never groomed his son, Habib Bourguiba Jr to succeed him. For many Tunisians, the president has betrayed the philosophy of the statesman he claims “taught him politics”. The leader of Nahda, Rached Ghannoushi has been very conciliatory recently but his public discourse does not sit well with the violence of his supporters and their words of hate on the streets of towns up and down the country. However much he might have changed since his party was running the government in 2012-2014, many Tunisians will not easily forgive him for – as they see it – letting the Salafist cat out of the bag. Whether that policy was the result of misjudgement or cynicism, it encouraged firebrand Tunisians to resort to violence. Two left wing deputies were murdered in 2013 and terrorist cells were set up in the Chambi Mountains along Tunisia’s western boarder with Algeria. These cells have yet to be destroyed despite many joint Tunisian-Algerian military operations. More than five thousand Tunisians have joined the jihad in Mali, Libya (where they are often trained), Syria and Iraq. The blowback effect of their return does not bear thinking about. Last week, the Tunisian Prime Minister, Habib Essid, travelled with a delegation of 21 people to the World Economic Forum in Davos, where business leaders at the very top of informed public opinion gather every January. Was a trip costing Tunisia more than one million Euros worth it? The prime minister heads a government that does not act as a team and balks at every obstacle it encounters, lacks any strategic vision on how to kick start the flat economy, and spends its time kicking the can down the road. That can could turn into a grenade. Contrary to the forecasts of the Central Bank and the World Bank, a number of Tunisian businessmen believe the economy is in recession – growth this year will probably be negative, and the economy is shedding jobs. The last three quarters have seen negative growth or 0.1% growth, which is tantamount to stagnation. Inflation has eaten into the purchasing power of many Tunisians since they revolted in 2011 while the likes of doctor and lawyers and certain service industries escape taxation adding insult to injury as the economic conditions of many Tunisians have deteriorated. Ezzeddine Saidane, the former CEO of Arab Banking Corporation in Tunisia, and Habib Karaouli, CEO of La Banque d’Affaires de Tunisie, are critical of the government’s lack of economic vision. Their views are widely shared by their peers in the business community and think tanks such as the Institut Arabe des Chefs d’Entreprise and the Cercle Kheireddine. The leader of the powerful trades union UGTT, Hocine Abassi appears to share their concern. There are three engines of growth in Tunisia: consumption, exports and investment. The first two are floundering and the government refuses to stoke up the third. As the price of staple foods increase and jobs are shed, Tunisians are tightening their belts. Flows of petrol and sugar from Algeria, where these goods are subsidised and hence cheaper than in Tunisia and any number of Asian goods, drugs and weapons from Libya are forcing Tunisian factories to close. They are depriving the government of precious tax receipts. The rise of the informal sector and growing insecurity have created two areas in Tunisia where the government’s writ is increasingly challenged. Smuggling is thriving in the poorer regions between Gafsa and the Algerian frontier and Ben Gardane and the Libyan boarder. The nature of smuggling has changed in recent years: its value has increased and key actors now sport Kalashnikovs, four wheel drives and use satellite communication. They have become far more violent as they trans-mutate from smuggling to jihadi fighting. This has made the task of boarder policing increasingly difficult for overstretched security forces. These are traditionally poor regions whose impoverished youngsters have no hope of a job and feel ignored by the richer coastal regions and Tunis. They are getting their own back in a new and lethal game of the periphery versus the centre. The government has no regional policy, nor is it fighting the informal economy. It would be unwise, in such circumstances, to push consumption as an engine of growth. The export sector was saved by a bumper olive oil crop last year – a once in a generation event. But the two key engines of the export sector, the phosphate/fertilizer and tourist sectors have stalled. Production of phosphates is down by two thirds from its level of 2010 at just below three million tons as the social crisis in the mining basin of Metlaoui shows no sign of abetting and Tunisia loses precious export markets for phosphoric acid and fertilizers. The roots of this crisis in what is, outside the mines, a very poor region are complex. They include failure of the state to address the consequences of the pollution of water used for washing phosphate rock, incapacity to diversify the economy of the region and unwillingness over the years to build new infrastructure. The government has also failed to come up with a strategic plan. The two companies which make up the industry, the Group Chimique Tunisien and the Compagnie des Phosphates de Gafsa are run by civil servants, good technocrats no doubt but devoid of the kind of managerial skill and independence from government which is key to the successful management of a modern industry. In 2000, the sector was better managed than its Moroccan counterpart, today the Office Chérifien des Phosphates is streets ahead of its admittedly much smaller sister at the other end of North Africa. The second key export sector, tourism, has been mauled by the terrorist attacks against the Bardo Museum in Tunis and the resort of Sousse. More than half Tunisia’s 570 hotels are closed. As a result, 300 travel agencies have stopped operating, 80% of all tour guides are unemployed and the craft sector has seen its sales collapse. Flights from Europe have been cut and 65% of former European visitors travel to other destinations. 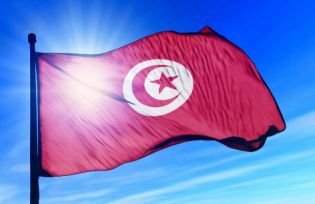 Media campaigns by the ministry of tourism are widely off the mark as most Europeans will not consider travelling to Tunisia in the near future. Hosting groups of French journalists flown in from Paris in expensive restaurants in Carthage, just to hear them say how much they love the land of jasmine, is throwing good money after bad. Were the government serious in its declared intention of restructuring the sector, it would devise a scheme which would allow Tunisian banks, notably the STB to dispose of the billions of non performing loans which sit on their balance sheets. Such loans could be “parked” in a specially created financial instrument and bonds could be arranged which would be traded. This would allow owners of hotels, who are effectively bankrupt, to sell their property albeit at a discounted price. This would offer an honourable exit to people who rode the great wave of hotel building in the 1990s and 2000s and who were intent on making a quick buck, not of being effective hotel managers. Tourist and foreign visitors were all along an honourable window to the outside world for a dictatorship that craved support over the years from major European countries. Cleaning the balance sheet of Tunisian banks of such loans would also allow the government to encourage lending to the thousands of young Tunisians who might want to set up a business. Lack of imagination and a powerful hotel lobby are however freezing any new ideas in this key sector of the economy. Meanwhile, the current deficit account continues to deteriorate – it is close to 9% of GDP which is way above what is prudent. The balance of trade and services is deteriorating, despite the cut in the import of capital goods. This spells a rise in foreign debt and a likely rescheduling in 2017 – the first time this would happen since independence. That would hit the country’s rating and it capacity to raise international loans on hitherto very favourable terms. Ezzeddine Saidane is not alone in arguing that investment is the lever which can help to get the economy moving. But how is this to be done when 45% of the budget – TD13 billion (Tunisian Dinars), is earmarked for civil service pay, a figure which has increased from the 38% it represented five years ago. This figure represents 14% of GDP. Successive governments, notably the Ennahda-led ones, were happy to recruit thousands of unqualified people which had no competence for the jobs they were officially allotted. Tunisia’s civil service used to be reasonably efficient – no longer. The collapse in the price of oil allowed the Tunisian exchequer to save TD700 million in subsidies last year, a sum which was entirely absorbed by the high wage bill in the civil service. Investment has declined from an average of 25% of GDP between 2000 and 2011 to 15% today, as domestic investment falters and foreign investment declines and capital flight increases. By failing to promote public investment, Essid is failing in his duty to get the economy on the move and forsaking the trust of the people. He proclaims his government will invest TD125 billion in infrastructure projects but in the same breath admits that the state cannot even get TD10 billion invested, which is “totally incoherent” according to Habib Karaouli. One of Tunisia’s most respected businessmen speaks of karakuz, the puppets so beloved of the Ottomans. The need for a bold policy of public investment is endorsed by left wing academics such as Gilbert Achcar. The prime minister begs younger Tunisians to be patient and complains he has no “magic wand”. In a vitriolic article entitled J’accuse the editor of the respected website Kapitalis, Ridha Kefi, notes what he sees as the government’s “crass incompetence and total lack of imagination.” Five years after Ben Ali had departed the stage, his dictatorship was now seen to have had positive aspects. First of all, the country actually functioned, public accounts were more or less balanced though the imbalance between investment in the coastal regions and the poorer hinterland was a major flaw. Today, as it borrows ever more abroad, Tunisia will come to depend on its foreign creditors. Second Ben Ali’s dictatorship “hid the incompetence of his critics”. Kefi has harsh words for those deputies on the extreme left who are encouraging the idea of a new revolution, le grand soir which will usher in a bright new era and for former president Moncef Marzouki, who behaves “like a pyromaniac”. He is critical of what he sees as the duplicity of Rached Ghannouchi, who has embraced Nidaa Tounes to better strangle it. He is scornful of Essebsi who he believes loves the trappings of his office but cares little about the daily difficulties many Tunisians have to confront. Habib Essid he calls an “unlikely prime minister”. As a curfew is imposed, yet again, on a disillusioned country, the question is – what happens next? Only the Tunisians can find a way out of the hole they have dug themselves into. The Tunisian people deserve better than the mediocre political leaders they have. Democratic elections are not won by enthusiasm or networks; they are won by machines with money. The kind of forces that organised the revolt were organized in terms of networks and had no structural organization. That enabled them to elude the surveillance of the security forces and explains why they were so successful. Free elections followed but elections are won by machines, with money, not by the enthusiasm of networks. Ennahda was well organised and quick to claim it share of the spoils; Nidaa Tounes is a lay coalition of disparate forces which included business people, senior civil servants and left wing people, notably intellectuals. Many of its supporters are abandoning ship, dismayed at the party’s incapacity to address the wellbeing of millions of Tunisians. The newly elected deputies were quick to vote themselves salary increases in 2011, oblivious to the insult this constituted to their often poor electors. Political leaders insult each other day in day out, then indulge in improbable love ins. The “all is sweet and dandy” scenario being played out in public between Rached Ghannouchi and Beji Caid Essebsi looks increasingly suspect to many Tunisians. Political theatrics offer no answer to the growing bitterness and despair felt by those who have no hope of a getting a job, buying a house or founding a family. Wealth in Tunisia is in the same hands as it was in 2010 – no redistribution has occurred. Tunisia’s foreign friends console themselves with the thought that elections and speech are free, despite well documented acts of brutality by the security forces in police stations and prisons and the recent hounding of alleged homosexual students, neither of which speak of a tolerant country. European countries and the US argue Tunisia deserves to be helped financially. They would do well to remember that in 2011 there was a revolution in, not of the system. The current state of stasis is not a good omen for the future. Barcelona Centre for International Affairs (CIDOB), 26 January 2016.